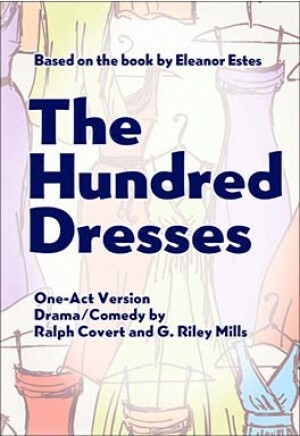 The authors of the musical version of The Hundred Dresses have rewritten the musical as a one-act straight play that's perfect for competition! Wanda Petronski, a second-grader, lives way up in a shabby house in Boggins Heights, and she doesn't have any friends. Every day she wears a faded blue dress, but she tells her classmates that she has a hundred dresses at home of all fabrics and colors. 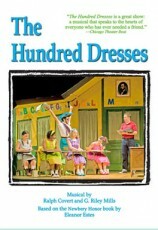 Soon Maddie, Peggy, Jack and their classmates make a game of teasing Wanda about her hundred dresses until one day she disappears from school, leaving just an empty seat where she once sat. As feelings of guilt overtake the children, Maddie and the others decide they must find out what happened to Wanda and make amends for the way they treated her. But is it too late? Bullying, friendship and forgiveness are all touched upon in this beloved Newbery Honor Book by Eleanor Estes.